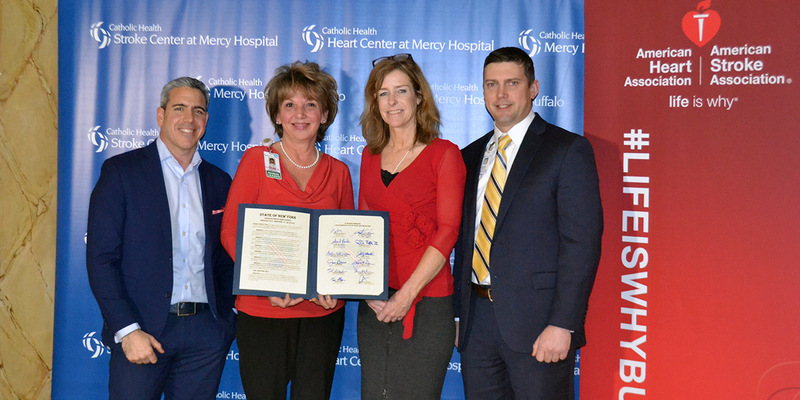 Erie County Legislator, Lynne Dixon, presented a proclamation this afternoon at Mercy Hospital of Buffalo in support of the American Heart Association’s Go Red for Women® campaign. 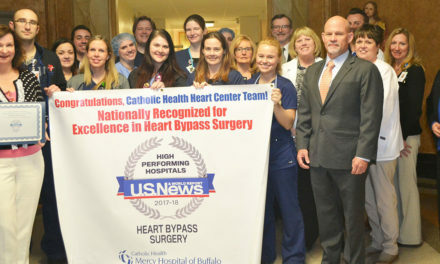 The proclamation was issued to the Executive Director of the Buffalo Niagara American Heart Association, Marc Natale and Shari McDonald, RN, MSN, Vice President of Patient Care Services, Chief Nursing Officer at Mercy Hospital & Chair of the 2019 Go Red for Women Luncheon & Campaign. 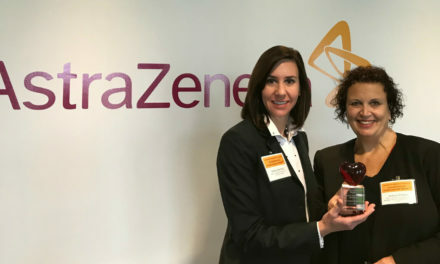 Community leaders gathered at Mercy Hospital to honor Shari McDonald and Catholic Health for their work in support of the lifesaving campaign that’s help so many women nationwide. They also took the opportunity to encourage everyone to participate in National Wear Red Day on Friday, February 1. For over a decade, women have fought heart disease and helped save lives through the “Go Red for Women” campaign. But while 80% of heart disease and strokes are preventable, the fight is not over. This number one killer is still taking the lives of our mothers, sisters, daughters and friends. An estimated 43 million women in the U.S. are still affected by heart disease. Heart disease in women requires more attention, more research, and swifter action. Donate: Show your support with a donation of time and money to goredbuffalo.heart.org. “Go Red” helps encourage friends and family to take small steps toward healthy lifestyle choices, which will reduce their risk for heart disease and stroke. Join us as we kick off American Heart Month on February 1 with Wear Red Day! The American Heart Association asks everyone to raise awareness for heart disease by wearing red throughout the month and sharing their photos on social media, using #WearRedDay and #GoRedBuffalo. 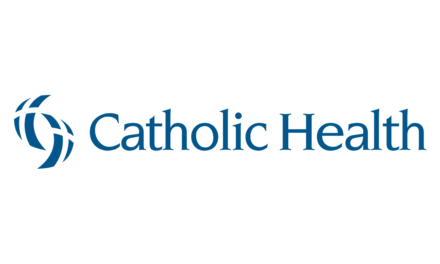 Follow us to get important heart health information all year round!